Are you or someone on your gift giving list a music lover? Music has magical powers to transport you to another place, time or feeling. It can lift you up when you are feeling down or remind you of a time, place or person from years past. Some people love music so much they have made a living from playing it, conducting it or producing it. It makes a movie more dramatic, a wedding more special and a dinner party less awkward! Yes, music is a wonderful thing and it is something to definitely be treasured! If you have a music lover on your list and need last minute stocking stuffer ideas, fear not! With the products from Scosche Industries. If you love to listen to music or talk hands free, headphones are exactly what you need. You just cannot listen to music and get the same sound quality without a great pair of headphones. Yes, you can jam out with a great speaker, but can you really hear the music as it was intended in the same way as with headphones? I just do not think you can! The lobeDOPE headphones from Scosche were made to give you the best listening experience possible. 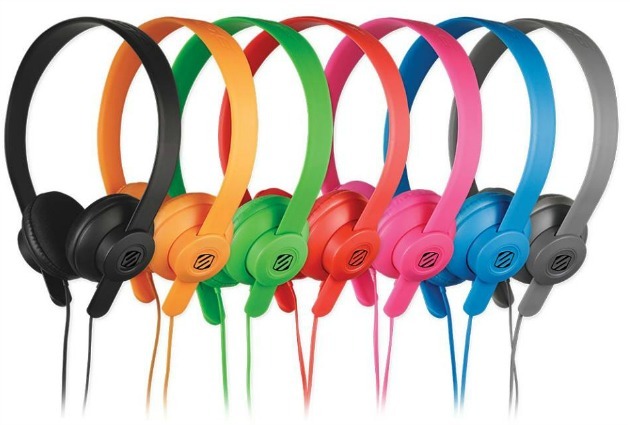 For the music fanatic on your list, headphones make great last minute stocking stuffers. The lobeDOPE headphones were developed to bring you the sound of a thumping bass and crystal clear highs. They are lightweight so you can comfortably listen to our music for as long as you want to. With the adjustable headband, you are able to fit the headphones to your head for the best fit. Now all you need to do is choose a favorite tune and plug your headphones into your mobile device, smartphone or MP3 player and you are good to go! The lobeDOPE headphones come in 7 exciting colors and are available on the Scosche website for $30. Be sure to stay current with the latest from Scosche and follow them on Facebook and Twitter.